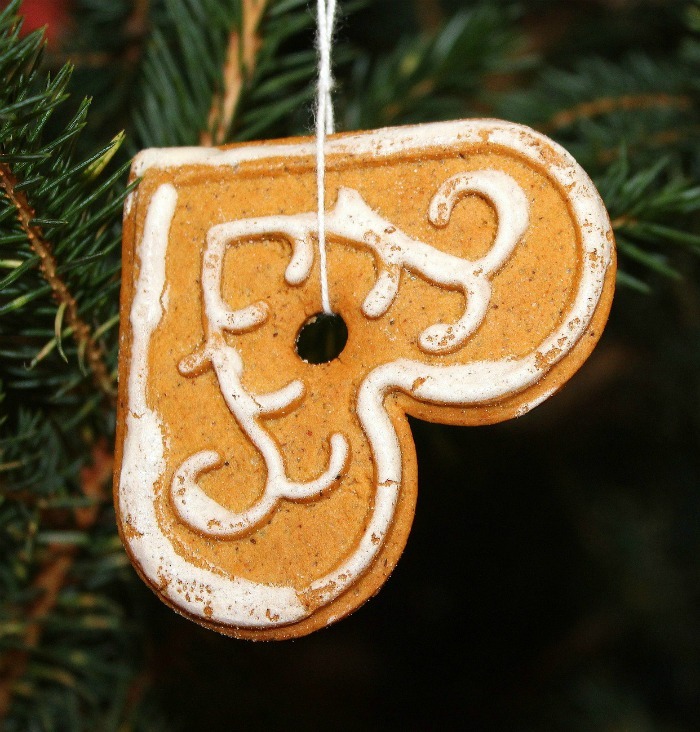 These DIY Christmas cookie ornaments do double duty. 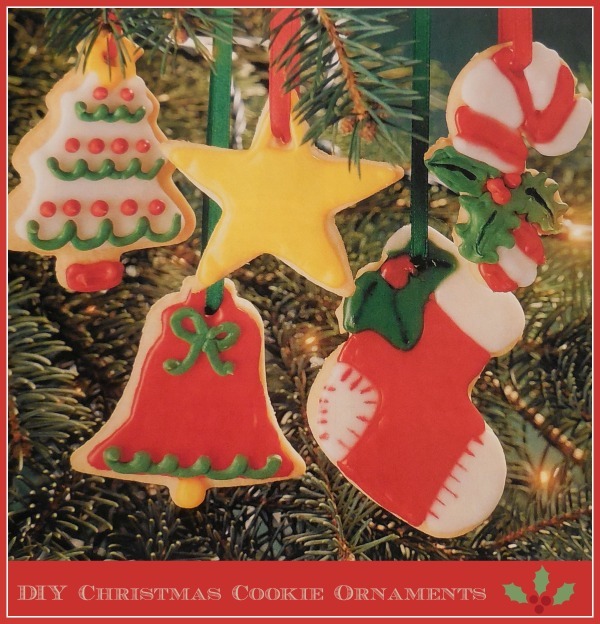 They can be made as Christmas cookies and also used to decorate your tree with a few extra steps. Making Christmas themed cookies is one of the joys of baking for the holidays. Turn those cookies into actual tree ornaments by letting them dry and then adding a ribbon to hang them. Here is how to do it. The cookies are made first. Use the recipe card below to make the dough and roll it 1/8″ thick. Use Christmas themed cookie cutters to cut the cookies into festive holiday shapes. Make the frosting and divide it into several bowls and add food coloring to give you holiday colors. Once the frosting is colored place it into icing bags to make it easier to decorate the shapes. Let the cookies cool completely for 4 hours before turning them into ornaments. You can use ribbon, twice, lace or yard as a hanging material. Add an 8 inch piece of hanging material through the preformed hole, tie a knot and hang on the tree. You’ll end up with 40 ornaments or cookies, depending on how hungry you are! 8" pieces of 1/8 inch ribbon for hanging. Preheat the oven to 350º F. Cream the butter, shortening and sugar together until smooth. Beat in the honey, egg and vanilla extract. Mix the flour and salt together, and gradually add it to the butter mixture. Turn the dough onto a floured surface and roll with a rolling pin to about 1/8" thick. 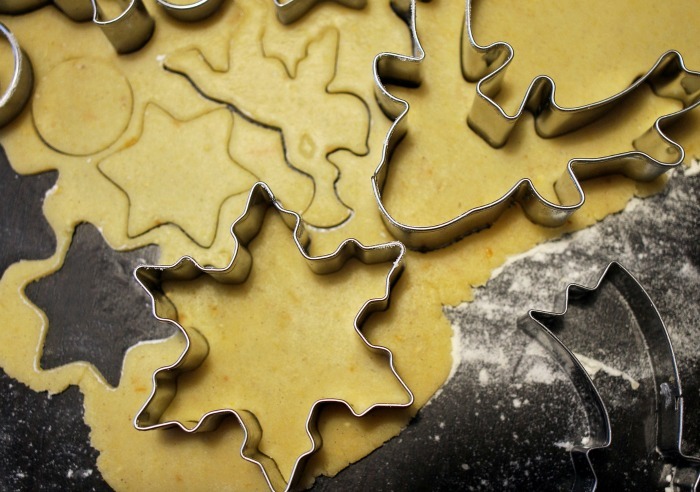 Cut with seasonal cookie cutters and transfer to un-greased baking sheets. Use the straw to make a hole in the top of each cookie. Bake for 6 minutes until lightly browned. Remove and place on racks to cool. To make the frosting, combine the confectioners' sugar. milk, corn syrup and vanilla extract. Beat until smooth. Place frosting in individual bowls and tint it red, yellow and green, and leave some white. Decorate the cookies by frosting the top and then placing the frosting into plastic bags. Snip the corners and decorate. To hang the cookies, thread an 8 inch piece of ribbon through the hole, tie a knot and hang. Makes 40 ornaments or cookies.